Bridge Development Partners just acquired another heap of land, this time in Pompano Beach, with plans to build a spec industrial park called Bridge Point Powerline Road, The Real Deal has learned. 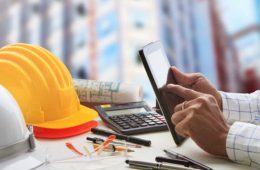 The Chicago-based developer paid about $12.3 million for 40 acres of land at 1951 North Powerline Road and broke ground on the first phase of the 467,832-square-foot project, according to a source close to the deal. The purchase has not yet cleared records. The trade, which breaks down to $307,500 per acre, includes a 150,000-square-foot warehouse fronting Powerline Road. The site is between the Florida Turnpike and I-95. The seller, Waste Management Inc. of Florida, is relocating, according to a press release. Previous sales information is not available online. Kevin Carroll, Bridge Development Florida principal was not immediately available for comment. Once completed, the project will feature three buildings, two of which will total 172,927 square feet each and share a 180-foot truck court. The third will span 121,978 square feet and feature a 120-foot fully-secured truck court, according to the release. Amenities for the buildings include high ceilings and 54-foot column spacing. 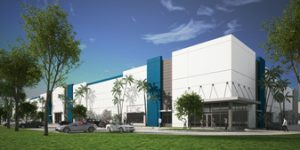 Last month, Bridge paid $28.2 million for 185 acres of land in Miami Gardens where it plans to build another spec industrial park called Bridge Point Commerce Center. Bridge is also in the midst of building a new distribution facility in Fort Lauderdale called Bridge Point Riverbend. 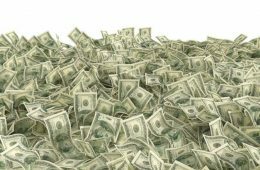 Nearby in Pompano, Farmers New World Life Insurance, a subsidiary of the Swiss insurance company Zurich Insurance Group, in August paid about $15 million, or nearly $120 per square foot, for a distribution center at 4000 North Dixie Highway. 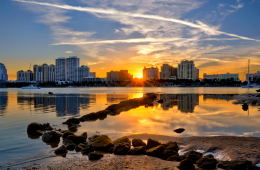 ← Former Boca Raton IBM Campus: Set For Housing?